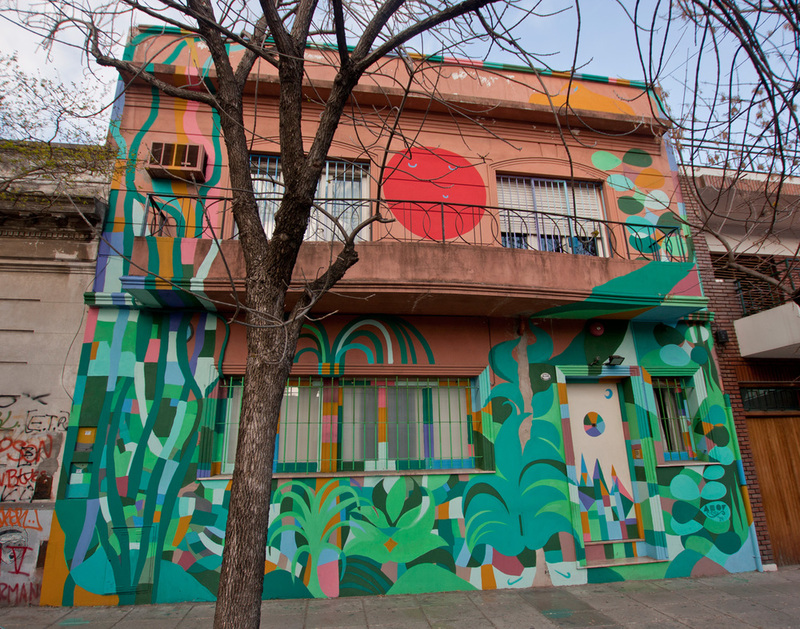 "Colors Are For People, Not For Flags"
Mural, Buenos Aires, Argentina, 2015. 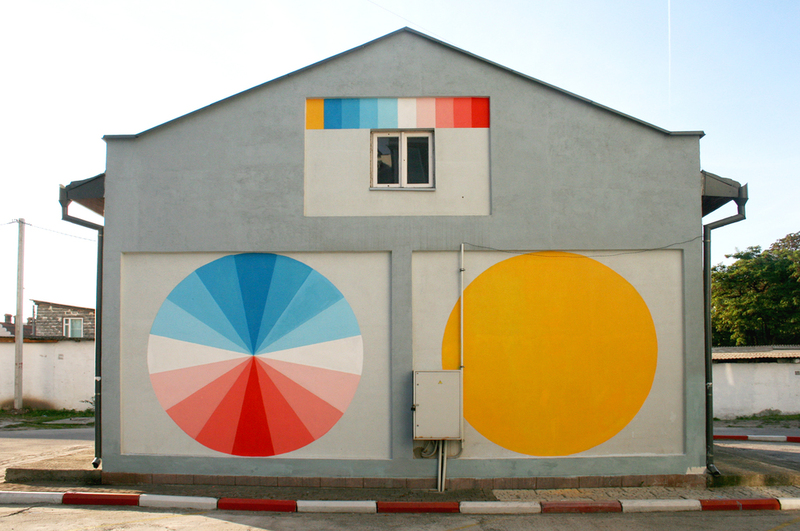 In the early 2000s Pomar got in contact with graffiti and muralism, disciplines that led him travel the world in pursuit of his research and development as an artist. 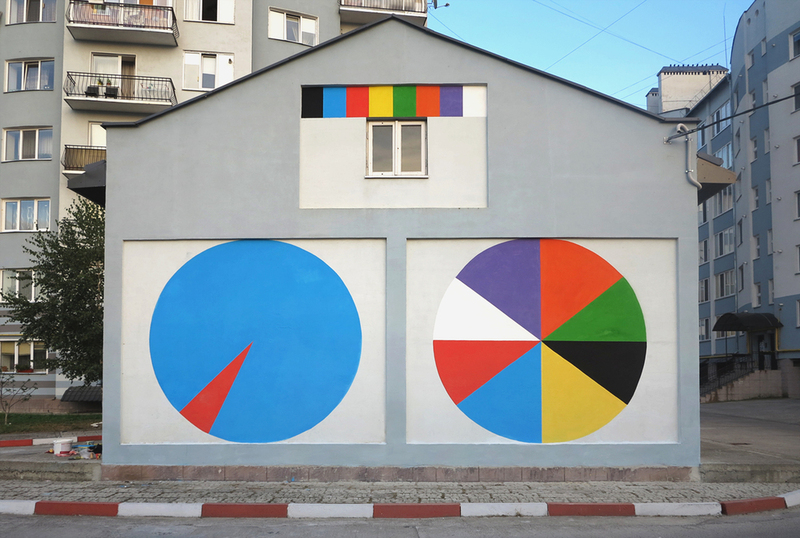 Jorge works on diverse themes, such as as vexillology, geometry and nature, focusing in the study of color across multiple disciplines: murals, drawings, ceramics, installations, photography, video and printed publications. 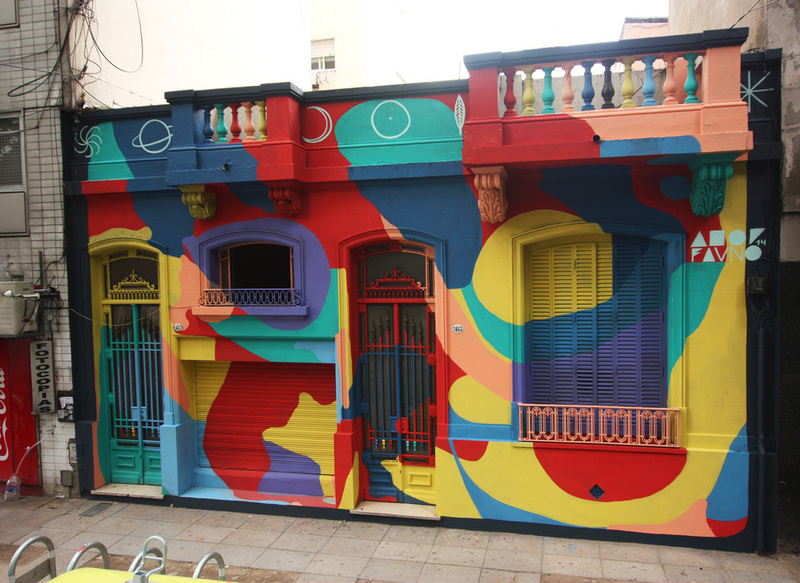 He has completed artworks in public space and exhibitions in Argentina, Brazil, Uruguay, Colombia, France, Germany, Poland, Ukraine, Sweden and United States. He now lives and works between Paris and Buenos Aires, where he studies with Diana Aisenberg. In 2015, Pomar presented “Trece cifras”, a three year documentary about his trips around the globe. Pomar was selected to be part of the Mako James collection for the incredibly playful yet intriguing commentary his work provides. Internationally focused and experienced, his portfolio and experience in the Buenos Aires arts community aligns with our consistent storytelling and artists represented.